Maximising Learning has over 60 years experience in motivating and training staff to initiate, develop and run progressive outdoor and adventurous learning programmes – in schools , colleges and youth organisations – working with children and staff in a diverse range of environments from British classrooms and concrete playgrounds to the mountaintops of Europe and the Western Deserts of Egypt. Our three directors are experts in their areas – which when overlapped gives you a sum which is greater than its three constituent parts. This ensures progression right across your school. Anita works with Early Years and Primary teachers through consultancy, training and project management, helping them explore opportunities for outdoor learning and embedding this in their curricula. She also works with schools to develop and improve their grounds, using a collaborative, holistic and sustainable process of change which engages the whole school community and provides numerous contextual learning experiences for pupils. Anita co-authored the publication Schools for the Future: Designing School Grounds with the Great Britain Department for Education and Skills. Anita graduated with a BSc(Hons) in Biology with Education from the University of Bath in 1992. 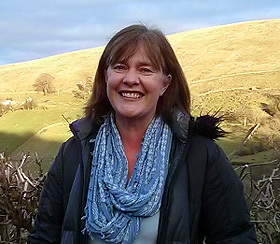 This teaching qualification coupled with a passion for the outdoors led her to focus on learning outside the classroom, developing programmes and managing education centres. Jim has a passion for engaging groups with the natural world. He has worked with international schools; training teachers to use their local environments for learning, also running residential courses and expeditions for their students. Jim specialises in embedding outdoor learning in the secondary curriculum; also in the group and risk management associated with this. 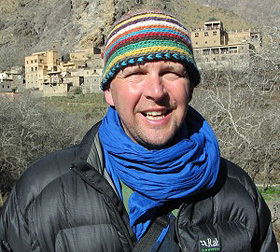 Jim graduated from the University of Hull in 1993 with a BSc (Hons) in Applied Ecology. He worked with a wide range of students teaching field studies in Ecology, Geography and Science. In 2008 he gained an MSc (Distinction) in Conservation and Land Management from the University of Wales, Bangor. “Jim… what a superb day. It was practical, educational, interactive and lots of fun! I now have a load of easily transferable ideas/activities I could share with my colleagues at school. I know the children will really enjoy them! Many many thanks for your knowledge, patience and good humour! Tim specialises in empowering and enabling teaching staff to build adventurous programmes of outdoor education for their schools. He taught Geography in a secondary school as head of department regularly using the outdoor environment to develop the students’ learning. This led to a realisation that young people learn faster and at a deeper level by being immersed in real life experiences. Tim has run outdoor and adventurous education programmes for schools, drawing from the long tradition of outdoor education in Britain, since 2002. 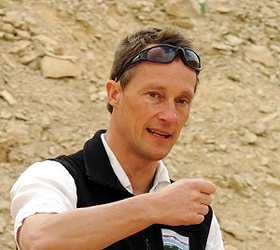 Tim graduated from the University of Liverpool in 1991 with a BSc(Hons) in Physical Geography and gained a PGCE teaching qualification from Oxford University in 1994. You’ve met the team. Now find out how we can help or get in touch to discuss your requirements.